Toxic Foods - Griffology...where every paw counts! Most dogs love food, and they're especially attracted to what they see us eating. While sharing the occasional tidbit with your dog is fine, it’s important to be aware that some foods can be very dangerous to dogs. Take caution to make sure your dog never gets access to the foods below. Even if you don’t give him table scraps, your dog might eat something that’s hazardous to his health if he raids kitchen counters, cupboards and trash cans. Got a counter surfer on your hands? How to deal with a counter surfer. Alcohol – I’m sure you've heard of the birthday parties where the dog accidentally gets into some of the spilled keg beer, and then gets all silly to the amusement of the crowd. While it may be funny to you, it’s not funny to your dog. Alcohol can cause not only intoxication, lack of coordination, poor breathing, and abnormal acidity, but potentially even coma and/or death. Apple Seeds - Apple seeds are toxic to a dog as they contain a natural chemical that releases cyanide when digested. So, be sure to core and seed apples before you feed them to your dog. Avocado – Avocados contain Persin, which can cause diarrhea, vomiting, and heart congestion. Baby food – Baby food by itself isn't terrible, just make sure it doesn’t contain any onion powder. Baby food also doesn’t contain all the nutrients a dog relies on for a healthy, well maintained diet. Cooked Bones - When it comes to bones, the danger that cooked bones can easily splinter when chewed by your dog. Raw (uncooked) bones, however, are appropriate and good for both your dog’s nutritional and teeth. 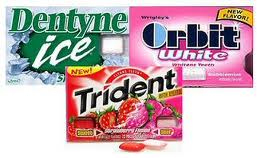 Candy and chewing gum - Not only does candy contain sugar, but it often contains Xylitol, which can lead to the over-release of insulin, kidney failure, and worse. Cat food – Not that they would want this anyway, but cat food contains proteins and fats that are targeted at the diet of a cat, not a dog. The protein and fat levels in cat food are too high for your dog, and not healthy. Chocolate - You’ve probably heard this before, but chocolate is a definite no no for your pup. And it’s not just about caffeine, which is enough to harm your dog by itself, but theobromine and theophylline, which can be toxic, cause panting, vomiting, and diarrhea, and damage your dog’s heart and nervous systems. Citrus oil extracts – Can cause vomiting. Coffee - Not sure why you would give your dog coffee, but pretty much the same applies here as to chocolate. This is essentially poison for your dog if ingested. Corn on the cob- This is a sure way to get your dog’s intestine blocked. The corn is digested, but the cob gets lodged in the small intestine, and if it’s not removed surgically, can prove fatal to your dog. Additionally, too much corn kernels can upset the digestive tract as well so be cautious to not feed to much. Fat trimmings – Can cause pancreatitis. Fish – The primary fish that you need to be careful about are salmon and trout. Raw salmon can be fatal to dogs if the fish is infected with a certain parasite, Nanophyetus salmincola. The parasite itself isn’t dangerous to dogs, but is often infected with a bacteria called Neorickettsia helminthoeca, which in many cases is fatal to dogs if not treated properly. If diagnosis occurs early on, the dog has a great chance of recovering. Cooked salmon is fine as it kills the parasite. Grapes and raisins – This is one that lots of dog owners are unaware of. Grapes contain a toxin that can cause severe liver damage and kidney failure. 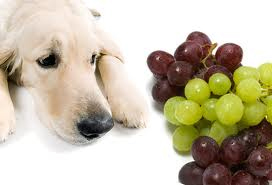 We’ve heard stories of dogs dying from only a handful of grapes so do not feed your pup this toxic food. Hops - An ingredient in beer that can be toxic to your dog. The consumption of hops by your dog can cause panting, an increased heart rate, fever, seizures, and even death. Human vitamins - Some human vitamins are okay to use, but the key is comparing the ingredients (all of them – active and inactive) to the vitamins your vet subscribes for your dog (often you can get the human equivalent for much less money). Make sure there’s no iron – iron can damage the digestive system lining, and prove poisonous for the liver and kidneys. Liver – In small amounts, liver is great but avoid feeding too much liver to your dog. Liver contains quite a bit of Vitamin A, which can adversely affect your pup’s muscles and bones. 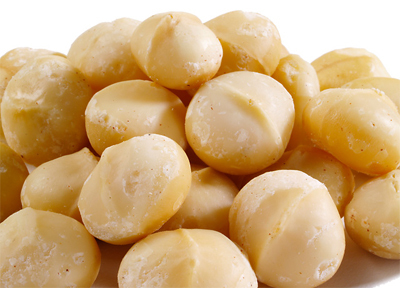 Macadamia nuts – These contain a toxin that can inhibit locomotory activities, resulting in weakness, panting, swollen limbs, and tremors as well as possible damage to your dog’s digestive, nervous, and muscle systems.